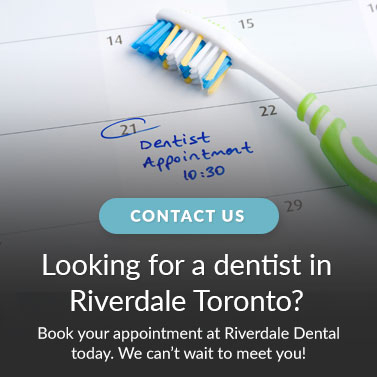 At Rivderdale Dental in Toronto, we are proud to provide digital radiography (x-ray) services for patients. We are pleased to offer our patients a new form of x-ray imaging - digital radiography! Digital radiography presents several benefits including the improved speed at which we are able to view images and the ability to reference your x-rays in real time at any point during your visit. This means that the images can be taken immediately and are available right away, so there's no need to wait for your results. These benefits allow our knowledgeable dental team to provide you with more personalized, proficient care during your dental visit. A digital x-ray can also help our staff identify potential problems that would not be visible upon direct examination which allows us to accurately monitor treatment. We recommend an at home oral hygiene routine including, brushing twice a day and daily flossing. This will help prevent gum disease and tooth decay.